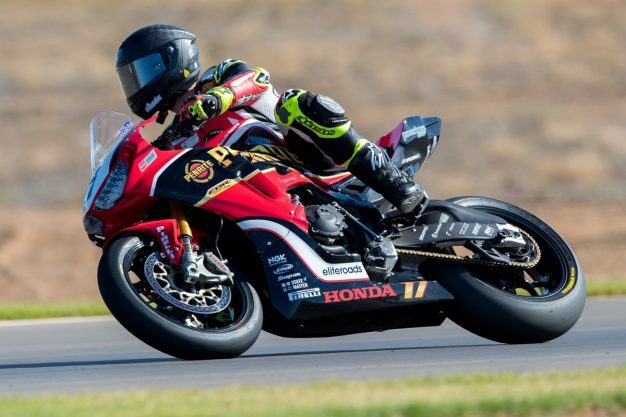 Herfoss and Halliday on their overall victories in South Australia. 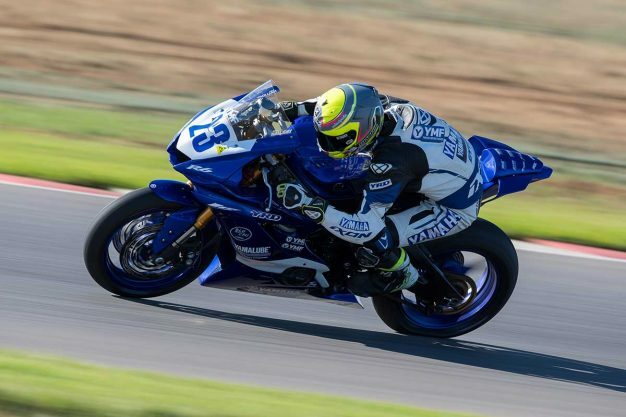 The Yamaha Motor Finance Australian Superbike Championship visited The Bend Motorsport Park in South Australia for the first time at the weekend, marking the third round of the seven-stop series. 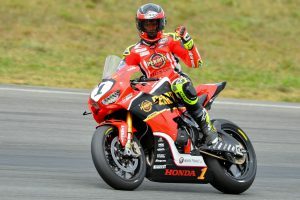 Penrite Honda Racing’s notched two race wins along with a third in the opener, collecting the overall victory and strengthening his points lead in the process, while in the Supersport category it was Yamaha Racing Team’s Cru Halliday who reigned supreme with three dominant victories. Image: Marc Jones (Foremost Media). For you this weekend, two wins out of the three, the overall victory and you extended the points lead. Well done! Yeah, thanks Alex. It’s a good feeling coming to any track like this, and a new track, you always come a little extra motivated because it’s an even playing field. I got the lap record, missed out on pole position, but to take the overall win and points lead, we couldn’t be happier. The bike is working well and the Penrite Honda Racing team are all really happy and motivated. The bike actually has a lot better speed from a bit of extra time on the dyno in the last few weeks trying some new stuff, so we’re excited going to Darwin. 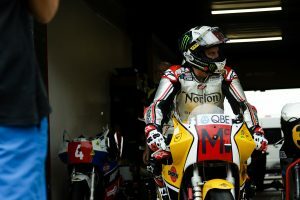 In speaking to the team, they’re saying that they’re extracting more out of the bike, progressing with it and the suspension as well. It seems that the package at this point in the year is the best its been since taking on the new bike. It definitely is. We’re going to Darwin next and that’s one year since we got the new bike. 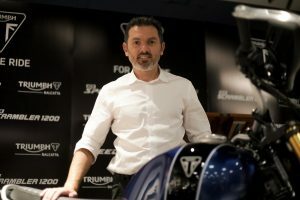 It’s really feeling like we have the new bike now because we can feel changes in the ECU that we’re making and the guess work is sort of gone now – well it’s far less – when we change something with the ECU, we know what we’re changing. That’s allowing us to get more power on the ground and more power in general. There are updates coming from Honda more often, so it’s really cool. And the suspension, we needed to try something different, and the K-Tech stuff has been great since day one. I think tyre life has been better for us, because in the past I’ve been the first guy for the tyre to go away and in race two today and even race three I had, if not the best tyre out of everyone, it was one of them. I was really happy. There’s obviously so much interest in the new track, The Bend, but now that you’ve done a race weekend on it, how was it to race on? It created some pretty good racing. It’s unbelievable, you can pass in so many turns on the track, it has a bit of everything – a really fast straight, tight hair-pins, fast flying corners, blind turns – it has everything you want. If you want to go to a track day, it has everything and the average rider is going to enjoy it a lot. Race one, looking back at the glitch off the line, was that a launch control problem or a mistake on your side? It was a bit of both really. I didn’t select first gear in time – I got it in anyway – and I wouldn’t say it was a launch control issue, but my understanding of how launch control works was not real good, so for races two and three, we decided to start manually and we’ll work on that later. Two months now before the Darwin round, so plans between now and then are no doubt to stay focused? It will come around quickly, but it is a bit of a break. Yeah, we have a bit of a break. For motorcycling, I’ll be hoping to get out to Morgan Park on a Fireblade at some stage for a ride. I really want to go to the Suzuka 8 Hours this year, so I’m going to try and work on that because it’s going to come around pretty quickly. Away from racing, I’d really love to do the Grafton to Inverell bicycle race, which is in a few weeks – it’s a really hard race that I only have two weeks to prepare for now. So that will be what I’m focusing on now. A perfect weekend for you at Tailem Bend, taking pole, both wins, a new lap record and the points lead. Ever since we first tested there three weeks prior, I gelled really well with the track. Being on the R6, I really felt I struggled at more of the open tracks, so being that this track is similar to tracks like Phillip Island where it’s so wide-open, long and flowy, I thought I might struggle. The guys at Yamaha have the bike sorted and we were a little bit worried after the test about tyre degradation, but after the car race there it ended up being okay and we had good tyre wear. Are you becoming more at home back on the R6 now that you’ve had time to settle in again? Yeah, I am. At first, being so tall I thought it would be tough, but with the new ergonomics on the current bike it lets me stretch out and it actually does feel like the R1, except it’s lighter. That’s a big thing for me, getting off the Superbike onto the Supersport again, the weight is so light and I can put it where I want it. I think that’s one big advantage I have over the field, so I’m happy to be back on the R6 – it was a great bike then and an even better bike now. Hopefully I can continue this streak through the next rounds and finish off strong. Over the weekend it was a double-header with the Asia championship, so although you’re obviously on different specification bikes, your lap-times compared favourably with theirs. Was that something you were keeping tabs on? I definitely was. They are running different tyres and we’re running different spec engines, but it’s a very strong field of riders. I raced over there in 2013, but I probably wasn’t on the fastest bike back then. Now that I’m on a factory team here, it’s definitely comparable. I hit the 56s and sort of couldn’t really lower the lap-time from there, because I’d set the benchmark and it’s hard when you don’t really have something to run at when you’re the front guy in your own class. I just wanted to be consistent and dropping the same lap-times, which at the end of the weekend I started doing, so I’m really happy for that and for the team.